It is no surprise that the latest Marvel movies have been breaking one box office record after another, such as “Black Panther,” starring Marvel’s first African American lead and featuring a predominantly African American cast. Women are finally gravitating out of supporting roles in the superhero film industry and standing tall in the center of movie posters outside of the theater. I am no superhero super fan (and had to consult my brother for some of this article) but “Black Panther” and “Wonder Woman” are easily among my favorite movies. So after absolutely loving the story of the Amazon warrior turned superhero on the big screen, I was more than excited to see Marvel’s girl power film in theaters when it came out. However, I learned that not all female hero features are created equally. The movie follows the origin story of Vers (Brie Larson), a Kree warrior whose people are at war with another alien race called the Skrulls. After a daring escape from the enemy ship, she ends up stranded on Earth and soon finds out about her past life that had previously remained unknown to her. She discovers that before she was an alien-fighting soldier living in outer space, she was a U.S. Air Force pilot named Carol Danvers (Danvers, get it?). After meeting a young Nick Fury (a recurring character in Marvel films played by Samuel L. Jackson) and finding her long lost best friend Maria Rambeau (Lashana Lynch), she figures out she has been fighting on the wrong side of the intergalactic war and that her so-called friends were holding her back in an attempt to control her. By the film’s final battle, the audience can tell why “Captain Marvel’s” title character has been called the most powerful hero in the Marvel Cinematic Universe, but whether or not she was the empowering hero we were all clamoring for is up to the viewer to decide. Although Danvers was Marvel’s first lead female superhero, her film was not the first female-led superhero feature. 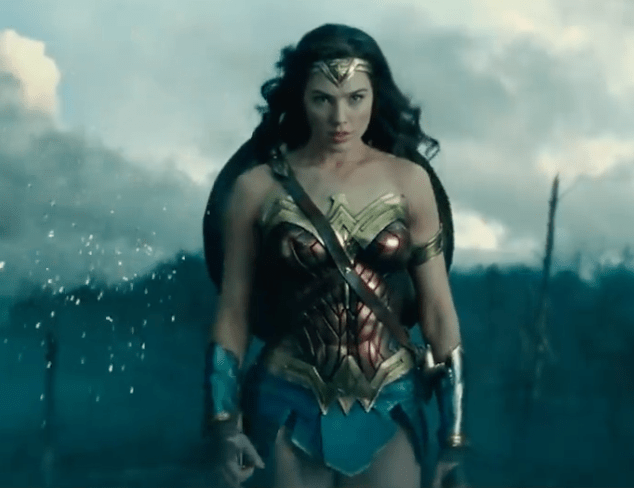 As previously mentioned, DC Comics’ “Wonder Woman,” which is the story of how Amazonian warrior Diana Prince (Gal Gadot) ended up saving humanity from a world war, premiered almost two years before “Captain Marvel.” And while DC Comic films tend to linger in Marvel’s shadow, when it comes to leading ladies, DC may stay in the limelight. After watching “Captain Marvel,” I felt like Marvel thought they could just give a female character a ton of powers and go, “Look at us, we have a strong female superhero too!” Unlike all of Marvel’s male heroes, Danvers has almost no character flaws, development or even basic personality. The plot of her movie is about as bland and predictable as she is, besides Nick Fury’s comical role as a buddy cop as well as the backstory behind his iconic eye patch. In “Wonder Woman,” Diana Prince was a complex, realistic (besides being half god, half amazon) and captivating character who had many obstacles to overcome, things she needed to learn and trials that made her a greater warrior. Her journey was complicated and interesting, and her relationship with Steve Trevor (Chris Pine) reminds us of the “human” part of being superhuman. None of her more feminine qualities, like her willingness to believe that goodness would prevail, kept her from being a strong leader. Honestly, Larson’s character felt like any other male hero, but with long blonde hair and curves. It’s not like Marvel doesn’t have any good, strong female characters. Both Black Widow (Scarlett Johansson) and Scarlet Witch (Elizabeth Olsen) take down anyone who stands in their way in thrilling action scenes, but also show their weaknesses in others, and kid genius Shuri from “Black Panther” who can outwit even Tony Stark is a great role model for any little girl to look up to. Be the first to comment on "Captain Marvel vs Wonder Woman"